March 29, 2018 — Berks County is a beautiful place, and Boyertown is an increasingly vibrant community that maintains its charm even as it makes progress with its economic development as a tourism destination. Therefore, the concern of the leaders in that community over the possibility of an increasing number of trash trucks driving through the heart of town is justified. Berks County Community Foundation has long been concerned that these trash trucks and their contribution to noise and traffic congestion were a huge barrier to making Boyertown a welcoming place for pedestrians. Foot traffic is key to sustaining and attracting businesses to Boyertown’s Main Street district. Over the last two decades, several funds of Berks County Community Foundation have awarded about $1.5 million in grants to support projects in the Boyertown area by various groups, including Building a Better Boyertown and the Colebrookdale Railroad. 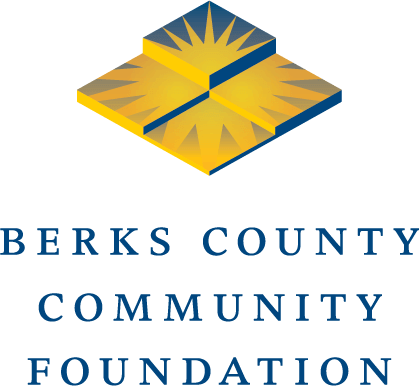 In addition to those investments, the BB&T Economic Growth Fund of Berks County Community Foundation was established in 2016 and has since awarded more than $1.7 million in grants and matching grants to economic development projects in Boyertown. It would be a shame for the advances in Boyertown to be hindered by a problem that has a solution. Actually, the petition asks the Delaware County Solid Waste Authority (the landfill’s owner) to work with the Colebrookdale Railroad to plan and develop the infrastructure required to begin moving the trash by rail. “We believe that everyone must share in the burden of finding solutions for dealing with waste because everyone is responsible for producing waste,” the petition says. “We, therefore, do not oppose the expansion of the landfill, per se. However, we strongly believe that when the burdens of waste disposal fall disproportionally on a population, it is incumbent on those who benefit from that waste disposal to compensate those so burdened, or at the very least, take significant measures to mitigate the burdens they bear. Berks County Community Foundation recently sent letters expressing a similar opinion to the Delaware County Solid Waste Authority, the Berks and Delaware county commissioners, and the Pennsylvania Department of Environmental Protection. The concerns of our friends in Boyertown must be addressed. This situation is also a valuable reminder for all of us: The beauty that we have in Berks County is a treasure, as is the charm of places such as Boyertown. When we make decisions about the future of our home, we must consider the impact to our quality of life.